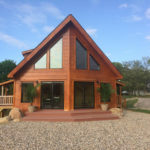 Over the last decade, we’ve built a reputation as one of the most respected log cabin builders in the country, not just because of our craftsmanship , building process, and superior attention to customer service. When you ask our customers what makes us special, they’ll share with you our passion for connecting people with their dreams, not just building dream homes, but making homes for their dream lifestyle. …Once again, we wanted to thank you, Lawrence and the set team for the terrific job that you did. You and Lawrence were so courteous, professional and informative during the process, and we really appreciate it. The set team were all very hard workers and always polite and thoughtful. All of you made the experience a very pleasant one for us. When we were back at the house on Saturday, Brady was extremely impressed that ya’ll also cleaned up everything so nicely both outside and inside. He said in all the years he was building houses, he had never seen that happen. So, in addition to the fine job that was done, we had a nice surprise at the end. Please pass along to Lawrence and the set crew how much we appreciate everything that was done for us to make getting into our new home a wonderful experience. 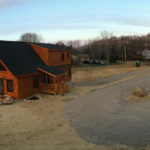 …We really love our log home!! So far everything is going good, I am so glad we bought the Jocassee V.
Still have a few things to do, just want to take it easy for awhile and just enjoy everything. Oh, we ran into Wayne in Virginia on our way back home, I notice the BRLC truck before I realized who he was. The Clark Cabin is nearly finished. Carol and I are looking forward to spending more time at the lake with family and friends fishing and boating. 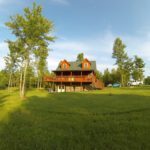 Coming back to a comfortable, super quiet Blue Ridge log home makes the experience special vs returning to a conventional home. Utility efficiency is fantastic as well with the geothermal. The true test of satisfaction is would we build a log cabin again? We definitely would. I wanted to write you again and tell you how wonderful our home is. Our thermostat when out at least 3 days ago. I tried to replace it but I could not get the system working. The outside temp. was low 20’s at night and middle 50’s during the day. Out house is so energy efficient that after 3 days without heat the temp. inside the house never got below 59 degrees. That is incredible heat holding and insulation of the house. Thank you Blue Ridge Log Cabins for building such a great product. Frequently we give thanks for it with our meal blessing. Thank you for all you have contributed to our happiness and to that of all the other BRLC home owner families! – George and Kathy K.
You can start there (BRLC website) and look at photos/plans etc. I took a plan that I liked and brought it to them. They had one that was similar in concept and we worked it for modular transportation on the trailers and what I wanted (move walls, add closets, bigger windows etc. etc.). As you know our journey started in 2009 with Blue Ridge. Steve and I discovered Blue Ridge Log Cabins while on the interstate going back home to Tennessee. We saw the sign and pulled off the interstate to go check it out. We owned some property and eventually wanted to build a cabin on it for our retirement home. We had been looking at different cabins. Donald Owens was there and greeted us. He gave us a tour and answered all of our questions. We left with brochure in hand and the website information. I knew this was the place to build our cabin. I would like to write the rest of this testimonial to anyone considering purchasing a Blue Ridge cabin. We weren’t ready to build yet and there was no pressure from Donald. He said when we were ready they would be glad to help us. Fast forward to 2012 we were ready to build. We picked out a Linville III. It was so exciting to meet with Donald and pick out our options. Blue Ridge also works within your budget. You can also customize your cabin. We changed a few things on the inside. From the start you are told what your responsibility is as far as having the site ready. Site Supervisor Mike Poteat travels to your site before the cabin is delivered to make sure everything is a go. We lived in our camper on the property while our cabin was being built. When they delivered our cabin all wrapped up the night before we were so excited we walked around and poked holes in the wrapping to get a peek inside. The 2nd week in July 2012 we moved into our cabin. Fast forward 4 years later. What I would really like to say about our experience with Blue Ridge Log Cabins is how great it was and still is. All of the people involved at Blue Ridge helping us live our dream were awesome to work with. Would we recommend a Blue Ridge Log Cabin? You bet we would. 4 years later we still love our cabin. Everyone that comes to visit us talks about how beautiful our cabin is. After you move into your cabin Blue Ridge keeps in touch with you. Mike Poteat came to visit us once to see how we were doing. They are like family. My question to you is what are you waiting for? 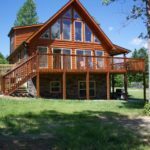 If you have been looking to build a log cabin look no more, Blue Ridge Log Cabins is your place. They can help you make your dream come true! 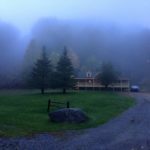 – Jane and Steve M.
We had a great experience working with Blue Ridge Log Cabins. The sales staff was really helpful and good to work with. Ms. Catherine Brusk was very helpful with the finance part. We really enjoyed working with Mike Poteat and his crew, and Bob Stark did the finish work, truly exceptional and professional workers. People come to our home and are amazed at the quality and appearance of the house. We are complemented all the time about it. I have attached some photos of the house. We enjoy telling people about our great experience working with Blue Ridge and the great home that we live in. – Jim and Lisa M.
I just wanted to thank you folks there again. We have lived in our house for 3 years now and love it more than words can express. We have had several friends and family stay here and come through and they cannot believe it came here in pieces. Cliff Fine did a completely perfect job making sure everything was awesome for us and we tell all our friends how awesome you folks are. 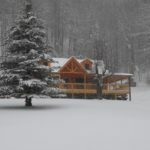 – Jim & Linda T.
We have enjoyed our Blue Ridge Blowing Rock II log home since September, 2010. We couldn’t be happier with our vacation home, the entire process, and all of the warm and helpful employees of Blue Ridge Log Cabins that we had the pleasure to work with. We were fortunate to have met Chip Smith during our first visit to the sales office, and although it was a holiday and the plant was closed, Chip took us on a personal tour so we could see how these fantastic homes are built. We were sold! Harold Farmer was our sales rep, and he made the entire process easy and smooth. 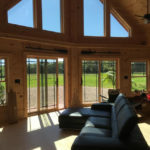 When our log home was delivered, Bob Brodeur was on hand to coordinate everything, and the entire crew worked tirelessly from start to finish to ensure that our home was constructed properly and with the utmost care. Visitors to our log home are struck by the quality and workmanship and they can’t believe it was literally under roof in one day. We love our Blue Ridge log cabin! – Norris and Paula S.
– Ben and Mayra R.
– Jay & Paulette W.
Great website, great Facebook page, great homes… You guys have it all together! Way to go! I wanted to add that we spent Thanksgiving week at our cabin and after moving in, we began to notice all of the fine little details that add so much to the home. And the Dish Network tech who installed our dish was extremely impressed with the quality of the wiring and the connectors provided by BRLC. It allowed us to have the highest quality signal and system installed for our TV. Thanks, BRLC!!! My wife and I have already been dealing with you folks and it has been a super experience. We are hoping to order our new cabin in April and can’t wait to move in. It’s been a long time coming and I would recommend Blue Ridge to everyone. We did this in 2003 and we would not trade it for the world!! Lovin’ our lil’ cabin hideaway in the woods!! Our Blowing Rock II arrived today in New Creek, WV and the crew from Blue Ridge were truly awesome! Thanks to everyone, especially Harold Farmer and Bob Broduer, for making our dream a reality. 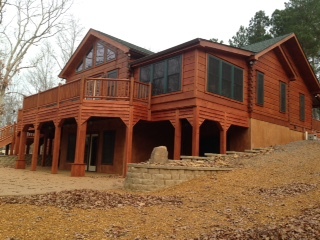 See why Blue Ridge Log Cabins is revolutionizing the modular log home industry! – Karl & Janice L.
Today our DREAM COME TRUE! Our cabin arrived today and we are thrilled!!! Thank you to your entire team of professionals and our wonderful sales associate – Chris Dew! my wife Emily and I visited BRLC in February. What a great experience. Chris Dew was outstanding! All of the staff seemed very happy to be at work. That will definately tell you something when you visit! Of the many log home companies we visited, BRLC was by far the best. We have decided on the Columbus III with some customizing and plan on building in Spring 2012. Thank you all for creating such a great company. Your hospitality and knowledge was welcoming and very much appreciated. Thank you Chris Dew for your time, patience and the recommendation of the local Bar-B-Que…It was great!!! – Jim and Deb A. Just wanted to say that your company has wonderful people….everyone was so nice and friendly. Thank you so much BRLC! We can’t say enough about how wonderful CHRIS DEW has been through our whole process. You are #1!!!! Blowin Rock II with 8″ logs! Customized all the way! The countdown is on!!! We are having a home delivered at the end of April (South Central VA)…Such a beautiful product and wonderful people to deal with. We totally customized everything and all at Blue Ridge were great to work with (especially Jason, the engineer/design planner! )….Highly recomend them!! These are beautiful log cabins, worth your time to stop by and visit, just off I-26 near the NC border. – Grant and Lisa G.
– Kent and Wendy M.
– James and Melody C.
– David and Dee R.
– Roger and Cindy H.
– Pat and Vicki R.
– Dr. Micheal and Deborah G.
My first impression of Blue Ridge Log Cabins was that they were very impressive. The crew that placed the cabin and did the initial setup was amazing. They did a remarkable job under difficult circumstances. Everyone I dealt with was professional, courteous, and helpful. I’m 55 years old and have worked in the construction industry most of my life, from residential remodeling to bridges and high-rises. I understand how you build your cabins but even so, I was still very impressed with your product. There is obviously a lot of planning and thought going on here. My hat’s off to all of you! – Chris and Muriel P.
I was in awe the first time I arrived at the cabin. I was very excited and pleased to arrive at our lot and have it already looking like a home! I’ve already told many of the other homeowners in our development about Blue Ridge Cabins. – Johnny Gantt and Cheryl L.-G. I have really appreciated the great customer service I have experience “after the sale.” Special thanks to the Blue Ridge Log Cabin Team and Bo and Raymond, who have been especially responsive to our follow-up needs. 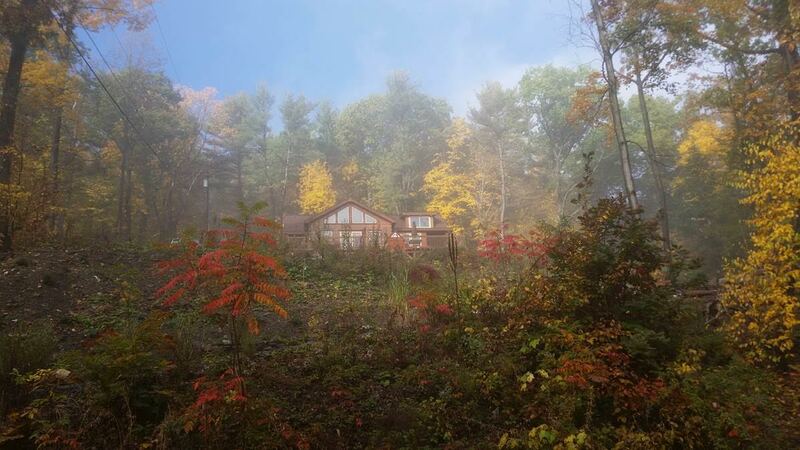 – Bill and Pat W.
We chose Blue Ridge Log Cabins for four reasons: 1. The manufacturing process 2.The quality and value of the product 3. The fact that the construction time schedule was better than that of traditional log home methodology 4. Professionals at all levels within the BRLC family were customer friendly and always willing to take time to answer questions.